Motorcycle enthusiasts love the thrill of the open road. As fun as motorcycling is, it is not without its risks. There are unique risks involving motorcycles and accidents can be very serious. This is why it is important to have the proper protection against losses caused by physical injuries, property damage and more through a motorcycle insurance policy. You need a company that understands the unique risks of motorcycle accidents. To help, we put together some of the best motorcycle insurance policies currently on the market. Markel Insurance has something going for it that the other insurance companies on this list cannot claim: It's specialized in motorcycle insurance for more than 40 years. 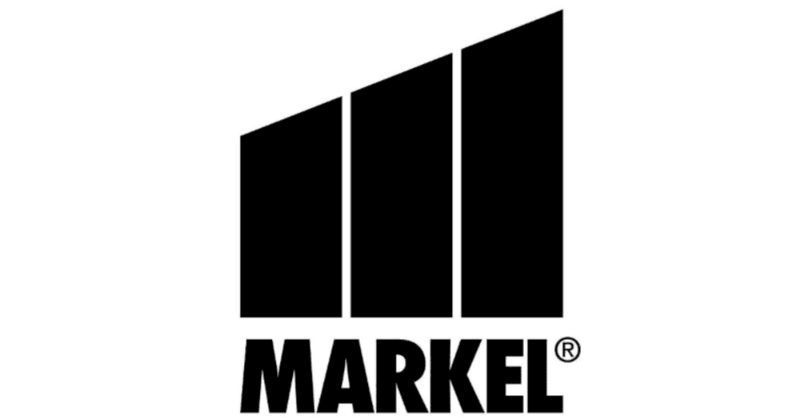 Markel has a policy covering almost any type of motorcycle, including cruisers, touring motorcycles, sport bikes, sport-touring bikes, big twins, street bikes, scooters/mopeds, dirt bikes, trikes and other custom motorcycles. Markel offers extensive discounts that can add up to as much as a 35 percent discount on your motorcycle policy. Discounts include anti-lock brakes, anti-theft alarm, multi-unit, renewal, safe driver, safety course, accident forgiveness and a transfer discount of 10 percent. For safe drivers, there is a diminishing deductible, meaning your deductible decreases by 25 percent for each policy year you remain accident-free. Here are the motorcycle insurance coverage options available through Markel: collision, comprehensive, accessory coverage, uninsured/underinsurance motorist, mechanical breakdown, trailer, medical payments, funeral expense, bodily injury/property damage liability, passenger liability, roadside assistance, emergency delivery of supplies, emergency tire and battery service, emergency trip interruption reimbursement, customized road mapping service, locksmith service and rental reimbursement coverage. Allstate is a well-known name in insurance and is the 2nd largest personal lines insurer in the U.S. Allstate has some unique aspects to its motorcycle insurance that are great for young drivers. Allstate’s First-Accident Waiver forgives the first motorcycle accident without raising your insurance premium, and the Allstate Rider Protection Project is a safety training program providing educational resources for motorcycle drivers. Coverage options include medical payments, personal injury protection, collision, comprehensive, uninsured/underinsured motorist, off-road vehicle transport and trailer damage insurance, property damage/bodily injury liability, optional/added equipment coverage, genuine parts guarantee, towing, lease/loan gap coverage and rental reimbursement. Discounts can save you up to 50 percent on your motorcycle insurance premium and include multi-policy, good rider (accident-free), transfer discount, motorcycle safety course and a motorcycle organization discount of 10 percent for belonging to an approved motorcycle association. Safeco is a part of the Liberty Mutual Insurance Group and offers affordable motorcycle insurance coverage for almost any type of motorcycle, including scooters, mopeds, sport bikes, cruisers, choppers, dirt bikes, sport cycles and touring bikes. However, there is no coverage for bikes used for racing/speed contests or for bikes without nitrous oxide kits. Coverage options include bodily injury/property damage liability, liability for guest passengers, comprehensive, collision, medical payments, uninsured/underinsured motorist, custom parts/equipment and roadside assistance. A new bike replacement option is available for Harley-Davidson motorcycle owners for two years and a safety apparel replacement option of up to $1,000 per person for safety apparel lost during a collision is available. Discounts include motorcycle safety foundation discount, homeowners discount, garage discount, riding club discount and a mature rider discount. USAA has been providing insurance coverage to military members and their families since the 1920s. Motorcycle insurance is available to U.S. military active members, National Guard and Reserve members. USAA has many member benefits and all of those benefits are not fully explained unless you become a member. One benefit is that USAA returns a portion of profits to its members. Coverage is offered for one-year policy terms and options include liability for bodily injury/property damage, comprehensive, collision, custom parts and equipment, uninsured/underinsured motorist, medical payments and roadside assistance. USAA has many discounts for its members who purchase motorcycle insurance. Some of the discounts include a multi-policy discount, multi-vehicle, loyalty discount, defensive driving course, good student, good driver, new motorcycle discount and a seasonal discount based on the season when you drive your motorcycle the most. With Farmers Insurance, you can insure your auto, home, motorcycle and buy life insurance all from the same company and receive a discount for doing so. If you are already a Farmers insurance customer, adding motorcycle insurance to your existing policies makes sense. In addition to the multi-policy discount, you can also receive a discount for an approved safety course, airbags, anti-lock brakes and there is a preferred operator discount. Coverage options include liability for property damage and bodily injury, collision, comprehensive, medical payments, safety apparel coverage, optional equipment coverage up to $15,000, trailer transport coverage up to $7,500, towing and roadside assistance, trip interruption coverage and replacement cost coverage for motorcycles less than two years old. Increased liability limits are available to match those of your auto insurance policy. Nationwide Insurance has some unique policy features for motorcycle drivers who have a safe driving record, including its vanishing deductible option that reduces your policy deductible by $100 (up to $500) for every policy year you are claims-free. The vanishing deductible option is not unique to Nationwide; however, the $100 deduction is more than some other insurance companies who offer a vanishing deductible option. Coverage options include property damage and bodily injury liability, collision, comprehensive, uninsured/underinsured motorist, roadside assistance, medical payments and towing and labor. Coverage is available in 32 states and the District of Columbia. An OEM endorsement is available, which guarantees your motorcycle is repaired using only original equipment manufacturer parts. Claims service repairs are guaranteed for as long as you own your motorcycle. Discounts include the multi-policy discount, multi-vehicle discount, motorcycle safety course discount, paid-in-full discount, riding association discount, theft-recovery device discount and anti-lock brake discount. Dairyland Insurance is a subsidiary company of Sentry Insurance and specializes in non-standard motorcycle insurance to residents in 42 states. The SR-22 Insurance requirement is available for high-risk drivers who need to file financial responsibility with their state. Motorcycle insurance is available for many types and brands of motorcycles, including mopeds, scooters, Harley-Davidson, Honda, Indian, Suzuki, Kawasaki, Yamaha and more. Coverage options include property damage and bodily injury liability, collision, comprehensive, custom motorcycles, accessory coverage, trike coverage, trip interruption, roadside assistance, replacement costs, rental reimbursement, uninsured motorist bodily injury and property damage. Discounts are available for multiple bikes, homeowners, motorcycle safety course, loyalty and rider group membership. There is a physical damage plus option that allows you to have your motorcycle repaired with original equipment manufacturer parts. One great thing you are sure to love about motorcycle insurance from Auto Owners is its award-winning claims service. It has received the highest possible award from a J.D. Power & Associates customer satisfaction survey in claims satisfaction. In addition, you can purchase motorcycle coverage in 26 states with these options: bodily injury/property damage liability, comprehensive, collision, uninsured/underinsured motorist, personal injury protection, medical payments, roadside assistance, rental reimbursement, full glass coverage, loan/lease gap coverage and some additional expenses such as food and lodging if you are stranded away from home. Several discounts are available to keep your insurance premium affordable, including experienced operator discount, anti-lock brake discount, anti-theft discount, touring bike discount, seasonal discount, multi policy/life multi policy discount, payment history, paid-in-full discount, green discount, favorable loss history discount, and a motorcycle safety foundation discount. Is Your Scooter Properly Insured?